Nothing is as lovely as the fragrance of sweet peas and I don’t know anyone that fails to melt when handed a bunch of the delicately coloured flowers. Because the flowers are so lovely it makes sense that everyone wants to grow them. 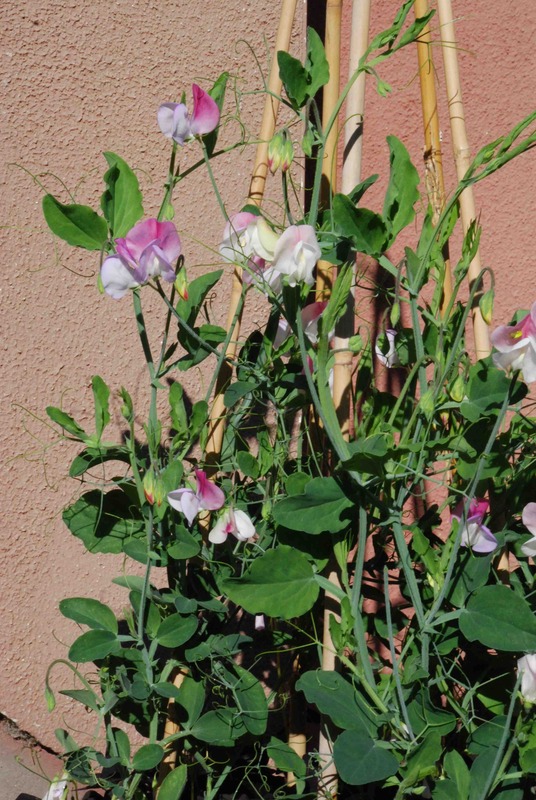 They are not difficult but they are a lot of work if you want long stems and lots of blooms – just let a few seed pods form and they stop blooming. To accommodate the desires of these gardeners seed companies sell dwarf types that can be grown in pots, baskets and all manner of container. The trouble is that none are really very good. Lots have full-size flowers on small, close-jointed plants that just seem odd to me and none bloom for long. I decided long ago that I wouldn’t bother with them – until I saw the ‘Solway’ series in bloom in large pots at Mr Fothergill’s seed trials a few years ago. So this year I have put my money where my mouth is and grown some in pots. they were grown the same way as all my other sweet peas and sown in October. They were planted in their pots a bit late, in April, with some Oxalis triangularis at the base in a mix of multipurpose compost and John Innes with some controlled release fertiliser. 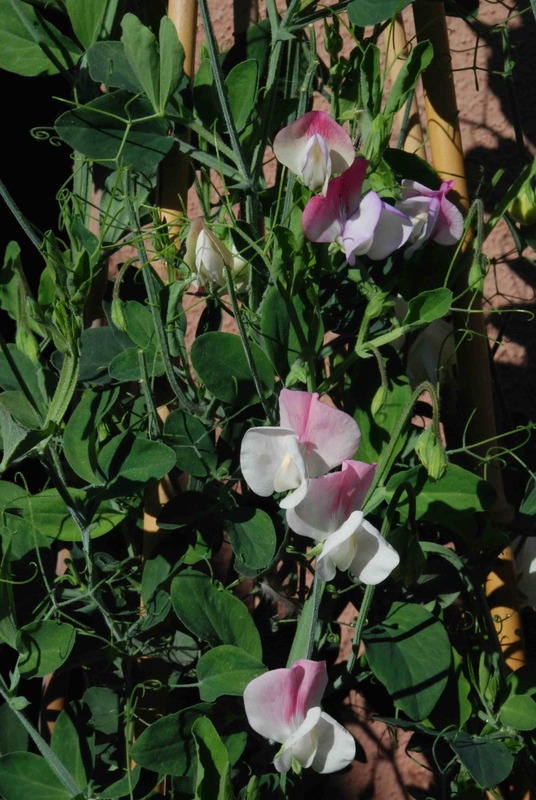 The reason I like the ‘Solway’ series is because they are like sweet peas in miniature and they seem to be in proportion with small, fragrant flowers on compact plants that reach about 1m high. 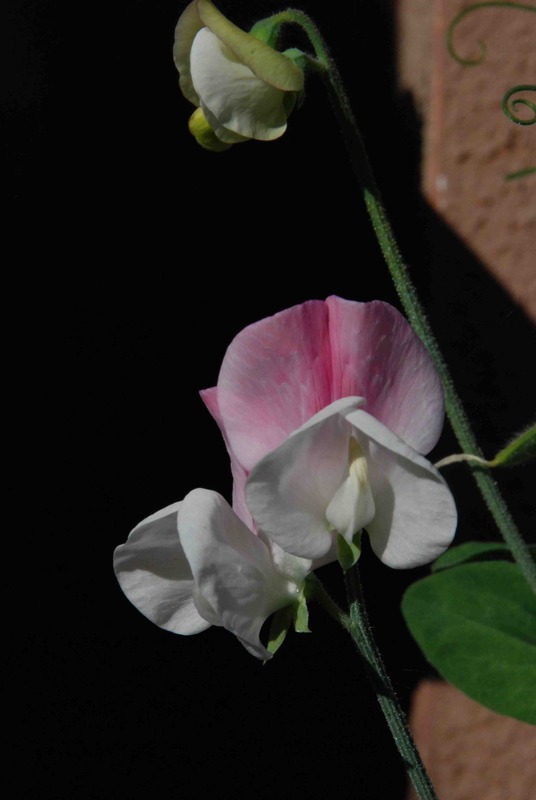 I have grown ‘Solway Minuet’ but there are several other colours in the series and all are sweetly scented.